Nobody likes zits. I for one, go crazy if I see a zit appear on my face. It's annoying. How many of you have tried numerous remedies, bought numerous products and just not happy with the results? 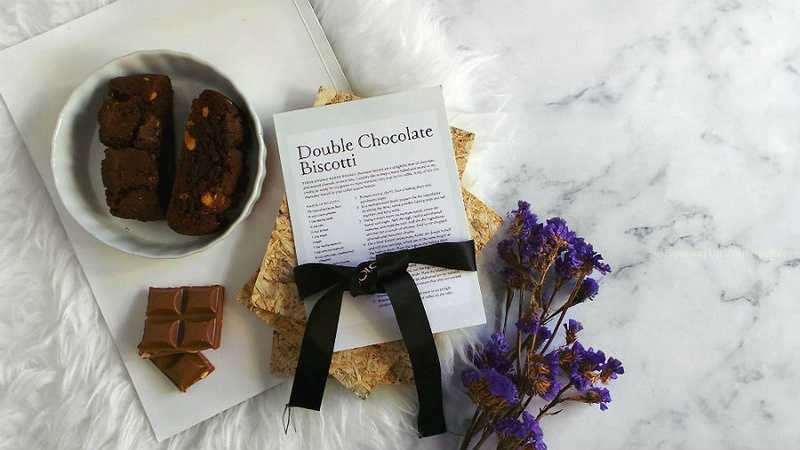 If you have acne prone skin, you're in for a treat! I have partnered with Dermalogica to gift 10 readers Medibac Clearing Skin Kits worth AED 235 each. The kit is designed to control, treat and clear acne in addition to preventing future breakouts. It contains 5 products: Clearing Skin Wash, Sebum Clearing Masque, Clearing Mattifier, Concealing Spot Treatment and Overnight Clearing Gel. All products are to be used regularly and layered in order for you to witness the results. Want clear skin? 3) Post your answer to this question in the comments section below: What result does Dermalogica's Medibac Clearing Skin Kit promise? Why do you want to win this? to control, treat and clear acne in addition to preventing future breakouts. The kit promises to control, treat and clear acne in addition to preventing future breakouts.I work in a no-mans land in a portacabin. The heat, dust, humidity is killing the texture of my skin.Recently i have noticed outbursts as well. I need this kit to come to my rescue. The Dermalogica's Medibac Clearing Skin Kit promises to treat and clear acne in addition to preventing future breakouts. I would love to have the opportunity to try the Dermalogica's Medibac Clearing Skin Kit, because my skin is prone to acne, which I want to get under control. I am a loyal fan of Dermalogica products which are very effective because they truly understand people's skin health concerns. Dermalogica's Medibac Clearing Skin Kit is designed to control, treat and clear acne in addition to preventing future breakouts. I want to win this because i want to try this for myself and witness the results. This kit for adult acne helps treat, clear and prevent the triggers that lead to breakouts. i want to win this beacause this is just the thing i need right now as for the very first time in my life i am having acne and the scars are so bad...they r taking time to fade and each days theres more acne..i hope that this product helps me in getiing rid of the acne and achieve smooth skin. Dermalogica's Medibac Clearing Skin Kit promises to control, treat and clear acne in addition to preventing future breakouts. helps treat, clear and prevent the triggers that lead to breakouts. I want to win this kit as its summertime and my skin gets really oily and prone to pimples. I want this product because I have deep bumps on my chins that I just done know what else to do, if I wash and do my daily routines, I can somewhat control it, but If I skip a day I break out and I just dont know what else to do. This brand is new to me. I would really like to test it out. Dermalogica's Medibac Clearing Skin Kit promises to help treat, clear and prevent the triggers that lead to breakouts. I want to win because I believe that all Dermalogica products are free from irritants that can cause my skin to break out. I want my skin to feel clean, smooth, and hydrated which I can only achieve if I use Dermalogica products. I want to win it because till date i get acnes and this really disturbs me. I trust Dermalogica products will help me get a clear skin which i always desired. The kit is designed to control, treat and clear acne in addition to preventing future breakouts. I want to win this kit because my skin has been exposed to the sun a lot lately and the heat and humidity has played havoc with my skin. Lot of pimples and acne have popped up suddenly and I am desperate to get rid of them. Medibac Clearing Skin Kit seems to be the solution to my problem...and who doesn't want a crystal clear skin!!! For ravenously net and free of pimples in addition to preventing future breakouts. The Dermalogica's Medibac Clearing Skin Kit promises to treat and clear acne in addition to preventing future breakouts. I want win because my skin in Summer suffer from hot weather and i need a treatment to refresh my face skin , i have acne in my face and the Dermalogica's Medibac will clear acne from my face. This kit for adult acne helps treat, clear and prevent the triggers that lead to breakouts. Please Neelofer i need this Kit so badly,no amount of proper facials ,cleansings or scrubings have been useful on my skin.i just wanted a product All in one and ur Dermalogica's Medibac Clearing Skin Kit proofs that this is the perfect kit for me.. Please Neelofer iam in need of this precious kit so badly.Have invested so much on facils cleansings and scrubs yet nothing seems to me working and i waz looking for some thing all in One and this medibac skin kit proves it it to the Best.hope iam lucky. 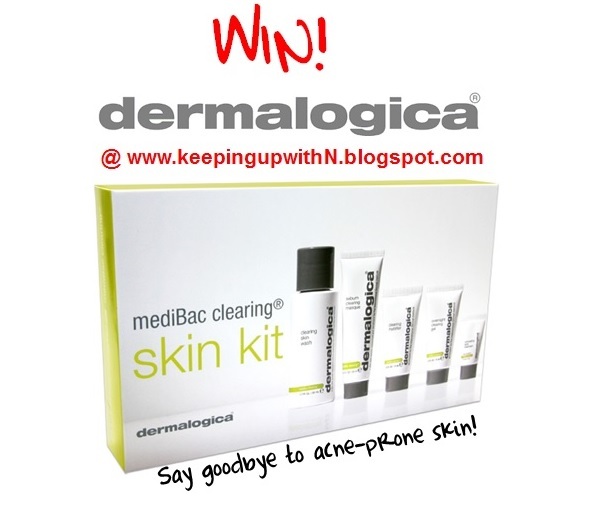 I would like to win because it is for acne prone skin's treatment ..
Dermalogica's Medibac Clearing Skin Kit promises to Helps control acne by addressing the triggers that lead to acne development & give healthy consistently clear skin. I have never use this kit but I wanna win this kit because I heard from others It works wonder & its Great for acne. so really wanna win & want to see change in myself. My skin is of a combination nature and i have been having continous skin breakouts especially during the hot summer.I already use dermalogica products but not in a kit form.i would definitely like to try it out to achieve fresh and rejuvenated skin. Love dermalogica products ! i love the way they work on my skin . Dermalogica's Medibac Clearing Skin Kit promise to Help control acne by addressing the triggers that lead to acne development.Helps treat, clear and prevent adult acne while addressing the needs of adult skin.Each product is designed to be layered upon the skin to provide around-the-clock control of breakouts. Dermalogica medibac definitely promises 'goodbye to acne prone skin!' by clearing and preventing the triggers that lead to breakouts and helps maintain consistently clear, healthy skin! Dubai's heat is killing my skin, I have a skin that is the most prone to breakouts, i already use Dermalogica's clearing skin wash everyday and have seen great results so you can imagine the wonders a whole regime of Dermalogica products would do! Can't wait to experience them all! Dermalogica's Medibac Clearing Skin Kit promises to help treat, clear and prevent the triggers that lead to breakouts. I would love to win this product as I have never found a system that makes my skin feel really clean and clear. 1.Dermalogica's Medibac Clearing Skin Kit for adult acne promises to help treat, clear and prevent the triggers that lead to breakouts.It states that you should use it morning and night to help maintain consistently clear, healthy skin. I am constantly on the search for that wonder product that will make my days of acne skin a mere memory. I am 18 years old and have acne. This kit would be amazing. And my skin would be acne free just in time for my college to reopen in September! And simply loves, the world of beauty, fashion and glamour ! And my face is peppered, with pimples, acne and random blackheads ! I just don't have the confidence, to face anyone. And my friends at me, they are always poking fun ! To win this bitter battle and successfully conquer skin breakouts ! To actively fight, these anti-facial elements completely ! That specifically addresses, multiple skin conditions ! While also controlling excess oil and soothing skin irritations ! And they refresh and rejuvenate your skin, making you look and feel alive ! Yes, it will give me the confidence to take on the world, with a smoother, glowing and more shining skin texture ! I have liked your Facebook page & have also liked Dermalogica's Facebook page. I am following you on Twitter & also following Dermalogica on Twitter. Finally, may I say a heartfelt and genuine thanks for being so kind and generous to us fans and give us numerous chances to win fabulous prizes with you. Indeed you are so thoughtful and compassionate to us ! I take this opportunity to wish you the very best for the future, may all your hopes, dreams and aspirations come true. More power to you dear Niloufer, may total success follow you always and may the future be bright and fruitful for you too ! Dermalogica's Medibac Clearing Skin Kit promises to help treat, clear and prevent the triggers that lead to breakouts. I so badly wanna win it this heat is killing me and effecting my skin so badly.. Plus I have got a few weddings to attend in August so if I win one set I will attend all the weddings with clear and zit free face. I have done all the entries. Dermalogica's Medibac Clearing Skin Kit promises to help Treat, Clear and prevent the triggers that lead to Breakouts. I have dry and dull skin, i would like get get of this problem. So i would like to win. Dermalogica's Medibac Clearing Skin Kit promises to help treat, clear and prevent the triggers that lead to breakouts. I have dry & dull skin.I would like to get rid of this problem.So i would like to win this awesome prize. Dermalogica's Medibac Clearing Skin Kit promises to help treat, clear and prevent the triggers that lead to breakouts. I want to win this because this summer heat in Dubai leads to sweat which causes more breakouts and this product would help with that! Dermalogica's Medibac Clearing Skin Kit promises to help treat, clear and prevent the triggers that lead to breakouts.So I am an Ultimate Contender to win this Kit as If you will see My Acne Filled Face Which is Just Turning Worse day By day ... I have Left no stone unturned to get a face free from acne but its Not working Out and Breakouts Occur every Now and then !!! So I REALLY want to win this Kit to have a Clear skin Free from Acne and Blemishes ! The kit contains 5 products designed to control, treat and clear acne in addition to preventing future breakouts. Dermalogica's Medibac Clearing Skin Kit promises to help treat, clear and prevent the triggers that lead to breakouts.Am a Damsel in distress Suffering from Acne and Breakouts So I Need an Urgent Rescue and I Hope that I will be amongst the Lucky winners so that I can enjoy a Clean, Fresh Soft and Supple Skin that is Free from Acne !! I'm a workaholic, so with work comes need for achievement & stress. My friend recommended this kit and by the looks of it, its definitely worth a try. Dermalogica is a skincare brand that I totally trust! Dermalogica's Medibac Clearing Skin Kit promises to help treat, clear and prevent the triggers that lead to breakouts. I wish to win this to make my skin clean and glowing. This kit is for adult acne helps treat, clear and prevent the triggers that lead to breakouts. I really really need this as I have severe acne problem, as mine is oily skin and I want to try this and see if this helps me.